Words and photos by Evelynn Escobar-Thomas. 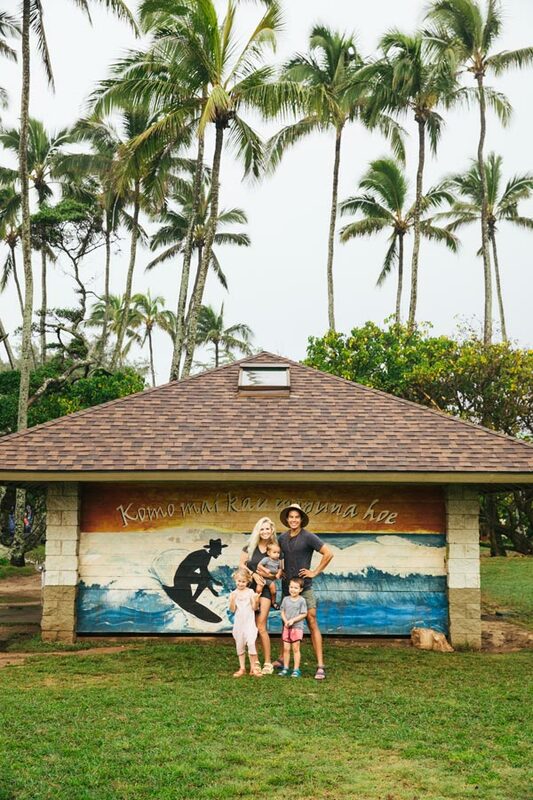 Growing up in a multicultural household our visions of vacation were shaped by beaches, amusement parks and bustling cities — not roughing it in a National Park. 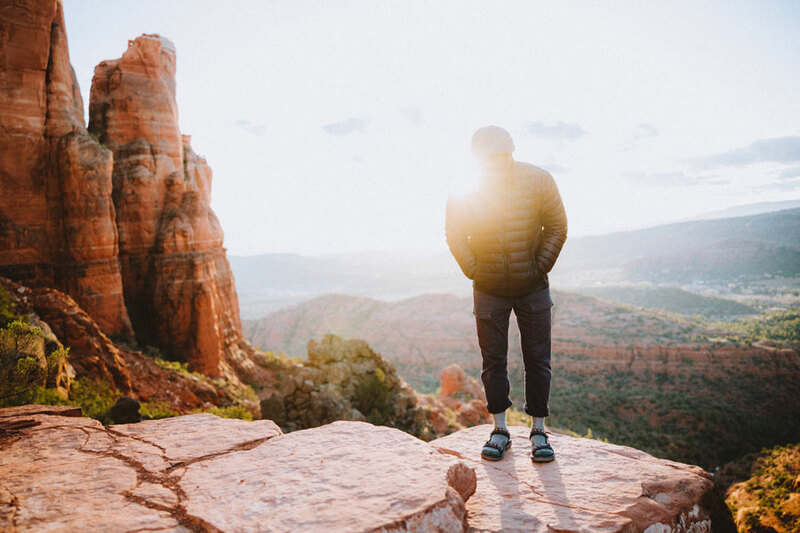 Visiting Los Angeles as a kid sparked a love for the outdoors and hiking that has only grown since moving to the City of Angels as an adult. 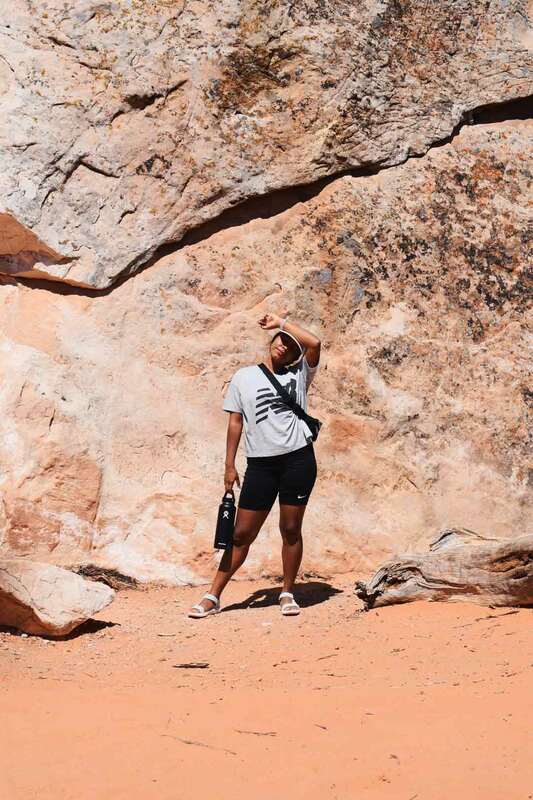 I actually didn’t visit my first National Park until I was 23. 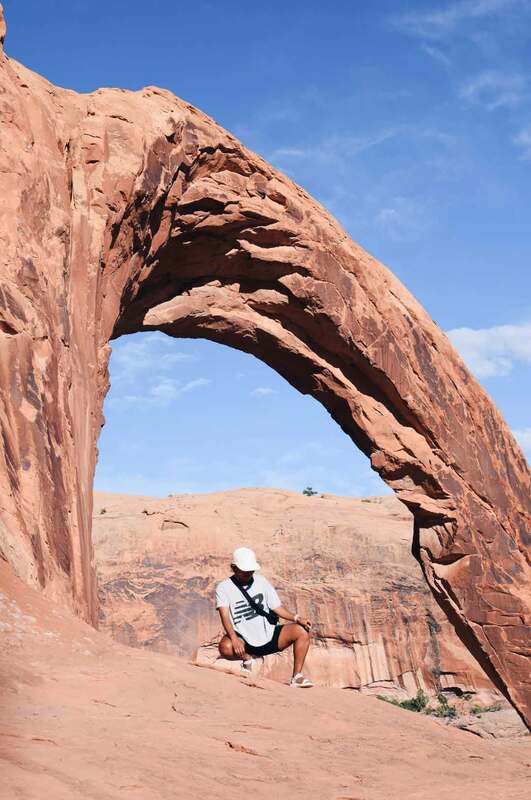 Now, living on the West Coast I’ve gotten the chance to explore some of the most beautiful canyons and monuments in the Southwest — like on my most recent trip to Moab, Utah. 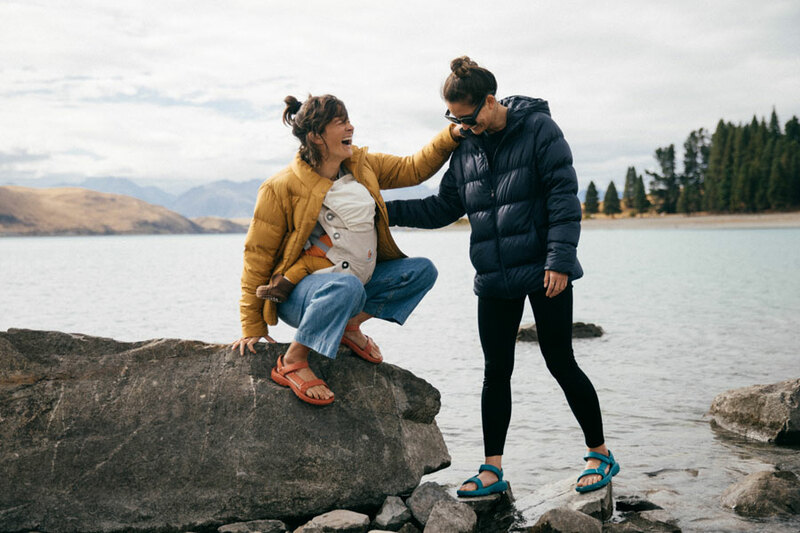 Shop the Women’s Terra-Float 2 Knit. 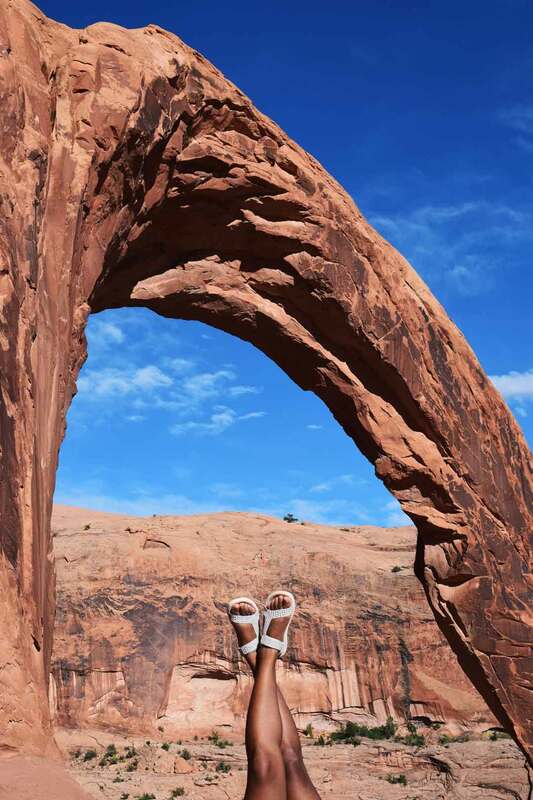 Just an 11-hour drive from LA brings you to a magical place called Moab. 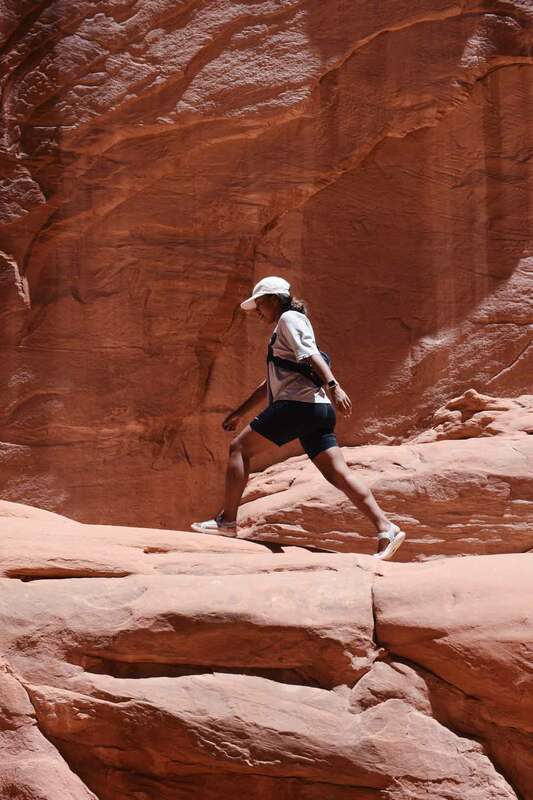 There are canyons, arches, dinosaur fossils and more to explore. 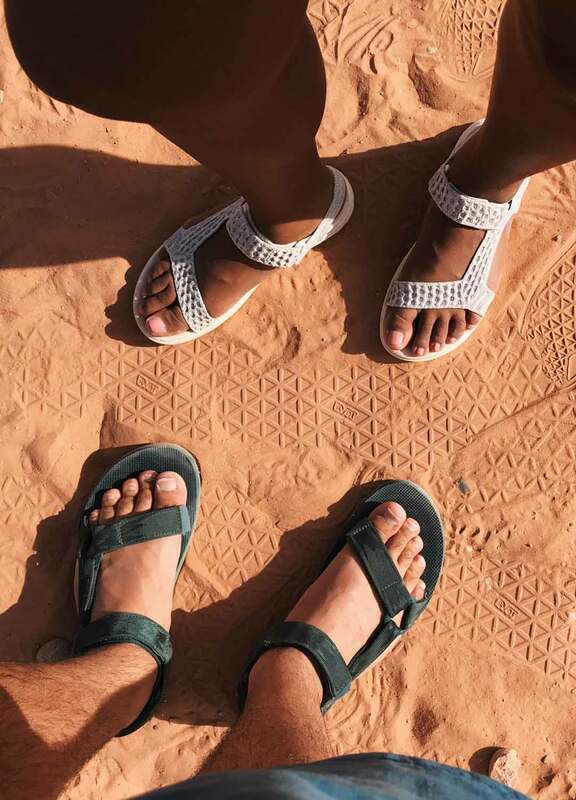 I set out with my adventure partner in crime (and fiancé) Franco to Canyonlands and Arches National Park in our Teva Terra-Float 2 Knit sandals for what would become one of the best Memorial Day weekends we’ve ever had. We began our trip at Canyonlands National Park, where we were quickly reminded just how little space we take up on this planet. 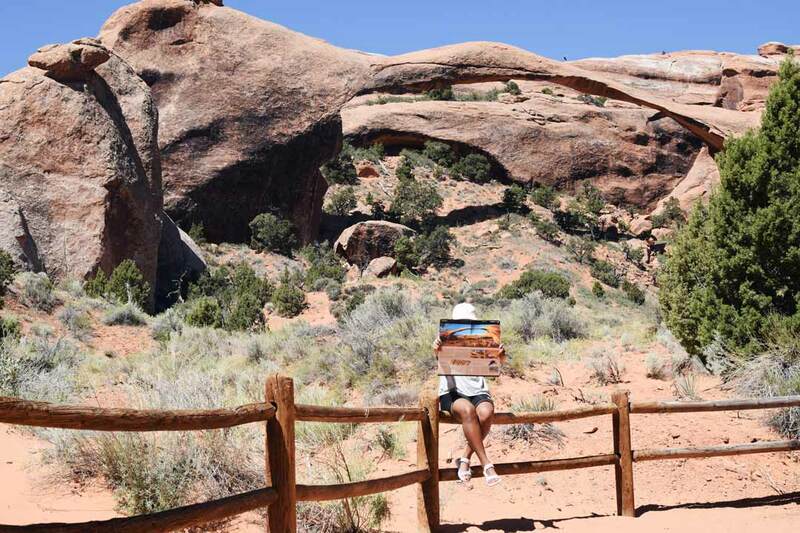 The park is filled with viewpoints and hikes through vast canyons that make you feel so small. Our trip quickly revved up with a helicopter ride over the backlands where we had our first spotting of the majestic Corona Arch. From the sky it looks so tiny but, as you can see, from the ground it is absolutely giant. We spent all day in the Terra-Float 2 Knit sandals and the Original Universal sandals and had zero slip or grip issues as we hopped from rock to rock all over the park. 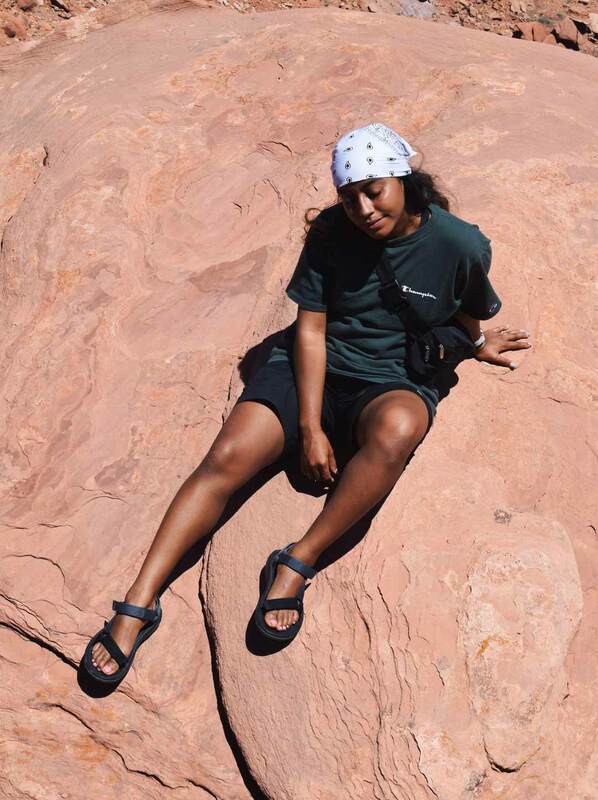 One thing I loved about hiking in Teva sandals all weekend is how rooted and present you become — you literally feeling the earth under and in between your toes. We spent all day marveling at just how amazing our planet is and how tiny we are in comparison to these amazing structures. It was the perfect reminder to get away from the city and to not take things so seriously. At the end of the day, we’re just little speckles on a really beautiful rotating marble in the sky, and we must work together to take care of it. 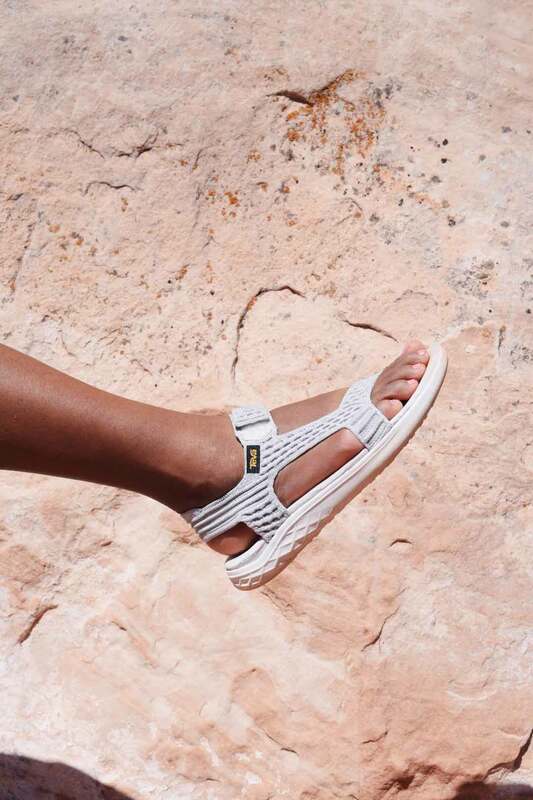 Shop new summer arrivals at Teva.com and #StrapIntoFreedom on Instagram @Teva.